London is a city right up there on culinary cool when it comes to experimental cuisine, flavours and food fun, and no more so than when it comes to capitalising on food crazes. But, if you're new to the city, pounding the streets to find the newest weird and wonderful food selection on offer can cut into that valuable Instagramming time. Fortunately, Wren kitchens have taken the legwork out of the investigative work by mapping the addresses where the quirky and innovative can be found, along with the best tube stop to alight at. Twenty-five addresses complete the quirkiest stops for discovering Instagram food heaven, from the elusive unicorn poop to Ansel's unmissable cronut at Victoria station and chasing rainbow bagels in Aldgate East ... this is the one alternative food map you shouldn't leave home without the next time you're seeking the ultimate food snap. Take a look at the map complete with addresses listed below. 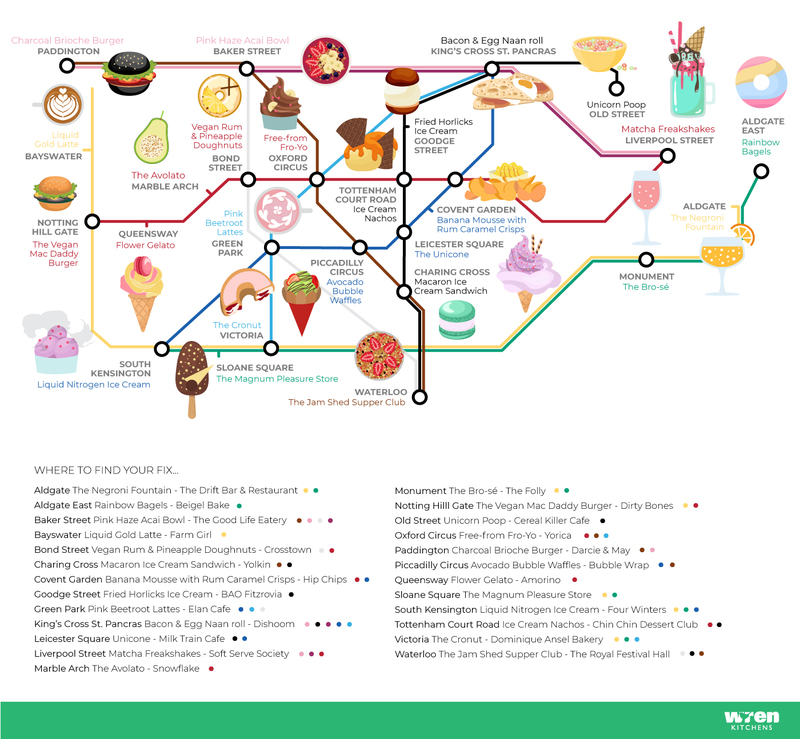 Check out also, the tube map of avocado stops!